Participants will receive $500 monthly for three years, no strings attached. 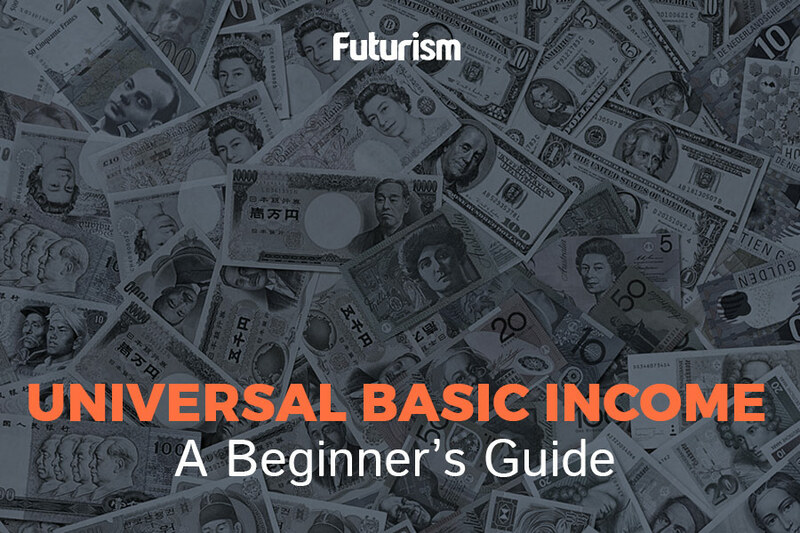 The idea of a guaranteed income for all citizens regardless of their social and economic standing is called universal basic income (UBI), and it’s been floating around for centuries. Thomas Paine wrote about it back in the 1790s, and in 1967, Martin Luther King, Jr. expressed his support for a universal basic income in the U.S. Now, Stockton, California, mayor Michael Tubbs is keen on implementing such a system in his city. To test out the idea, Tubbs is planning to launch an experiment he’s calling the Stockton Economic Empowerment Demonstration (SEED). When the project kicks off next year, it will be the first trial for universal basic income in the U.S. to receive government support. Most of the financing for SEED will come from basic income advocacy group the Economic Security Project (ESP), which pledged $1 million to launch the program. The plan is to select a yet undisclosed number of recipients from among Stockton’s 315,000 citizens to receive a fixed $500 monthly income — or $6,000 a year — for the duration of SEED, which Tubbs hope will last three years. Stockton is an exurb located some 80 kilometers (50 miles) from Berkeley. It became the first U.S. city to file for bankruptcy back in 2012, and five years later, the city is still in the throes of poverty, with an unemployment rate of 7.3 percent — almost twice that of the national average of 4.3 percent. The typical Stockton household’s income is only at $44,797, well below the median household income in California, which is $61,818. Tubbs sees UBI as a creative and necessary alternative to traditional income. The 27-year-old mayor told Vox his inspiration for SEED came from knowledge of King and his personal experience growing up in poverty, claiming he saw firsthand the stress and hardships caused by not being able to pay bills and other necessities. “The stress isn’t because people don’t have character. It’s because people don’t have cash,” he said. Solving current poverty is just one potential benefit of UBI. Many experts believe such a system could effectively curb the unemployment surge expected to follow the rise of intelligent automation, in which machines will replace greater and greater numbers of human workers, both those employed in minimum wage jobs as well as those in industries like finance and information technology. Some experts also think UBI could provide an alternative to today’s social welfare programs. Critics of UBI, however, often stress a potential unwanted side effect, arguing that giving people a fixed income, especially those who are unemployed, would dissuade them from pursuing jobs. UBI, they say, will promote a culture of laziness and complete dependence. The truth is, though, there isn’t much data yet that suggests this to be the case. Based on what we’ve seen so far, people who receive a basic income tend to actually work more, not less, and Tubbs is confident the citizens of his city won’t squander the opportunity afforded them by UBI. “I’m excited about just showing what people do with increased economic opportunity. Being able to devote their time full time as a parent or caregiver, going back to school to [re-skill], investing in a new business,” he told Vox. Of course, we need a significant number of pilot programs like SEED to generate the amount of data needed to determine the actual effectiveness of UBI. Thankfully, others are already in the works in Finland, Kenya, and Canada, and according to Tubbs, his city is the perfect place to test universal basic income in the U.S.